Eric Johnson and Dan Goldstein conducted an interesting online experiment in 2003, asking people whether they would be willing donors. Some people were told that the default was not to be an organ donor, and they were given the option of confirming or changing the default status. Others were told that the default was to be an organ donor, and again, they were given the option of confirming or changing the default status. When participants had to opt in to being an organ donor, only 42% did so. But when they had to opt out, 82% agreed to be donors. 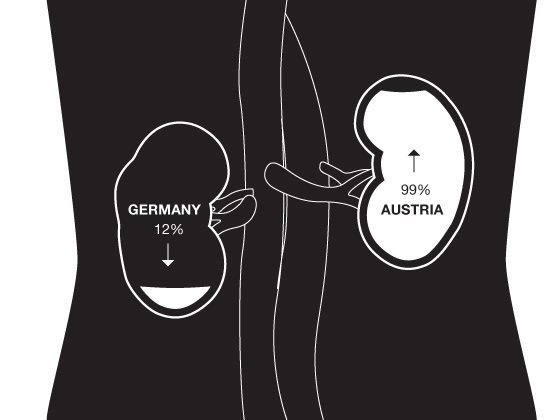 To get a sense of the power of the default rule, consider the difference in organ donation rates between two similar European countries, Germany and Austria. In Germany, which uses an opt-in system, only 12% of citizens gave consent, whereas in Austria which uses an opt-out system, nearly everyone (99%) did. Of course a successful organ donation program needs the infrastructure of the medical system in matching donors with recipients, transporting organs and performing successful transplants. But keeping everything constant, default option still plays a major role in increasing the donation rate. How many of you have changed the default settings of your mobiles? This power can be harnessed to change behaviour. Setting default options can have huge effects on the outcomes, from increasing organ donations to increasing personal savings to making better investments. Never under-estimate the power of inertia.